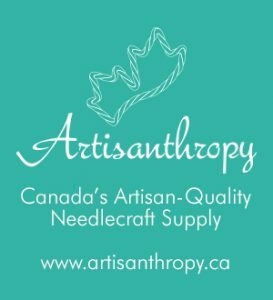 I decided I would participate in Knitting Blog Week, so this is my first post for the week. Today’s topic: two yarns I feel strongly about. I bought 6 skeins of this yarn because it was available online at quite a discount. I also bought it when I had very little experience with yarns, and I bought the skeins based on the deep colours that excited me (in this case, Cranberry and Jungle Green). I had written in my notebook that I was to make a certain pattern with these skeins (I think – I can’t find that particular note anymore. Hmph). The yarn is all lumpy, meaning edges knit with it will never be smooth. This is a Very Big Deal for an obsessive like me. The colours aren’t exactly what I was hoping for. While I’m drawn to the Cranberry, it’s a little too intense, and I find the Jungle Green is just a bit too dark. The yarn is made of 100% wool, which I’ve discovered in the past year is actually kind of a problem for me, as I seem to be allergic to wool. This means my eyes go puffy and my fingers turn a bit red when I’m knitting with this yarn. I can’t imagine happily wearing any garment made of this stuff. I found I had to pull and yank on it when knitting with it – which caused considerable discomfort. All of this sums up to – I just don’t like the yarn. When I attended VKLive in NYC in January with my mum, I discovered the Tess’s Designer Yarns booth on the trade show floor and could barely tear myself away. While I loved all of the available colourways of the yarns they had on display, I absolutely fell in love with the dark purple / turquoise shiny look of the microfibre ribbon. I found it on Saturday… I fantasized and dreamt about it all Saturday night, and by Sunday I knew I had to return to the booth and throw down the $25 for a skein of it. That’s rather lofty for a beginner knitter, who had a mountain of debt at the time, and who wasn’t sure just what to do with it (the samples at the show were okay but seemed very granny-like in style). But, just owning the yarn inspired me and by the time Sunday’s classes had wrapped up, I’d designed a gorgeous bikini for it (taking into consideration its heavy drape, and all!) – with absolutely no knowledge of knit pattern-making whatsoever. And that concludes the first post of my Knitting Blog Week! Cheers!